It's Holidays Time, but the ICC never stops bringing you the best from the chess world! 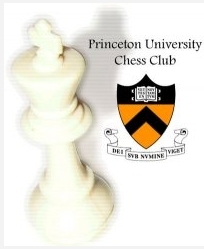 For the first time ever this year ICC will have live broadcast for the Pan American Intercollegiate Chess Championship, which is going to be played at the Princeton University Chess Club from December 27-30. This tournament has come a long way, starting in 1946. It was played every even year until 1962, when it became a yearly event. The tournament peak was clearly in the 70's, when Bobby Fischer won the world championship title: from 1972-1978 an average of 108 teams participated with a peak of more than 120 in 1975! For Decades, many if not almost all of the top US players took part in this event; easy to mention GM Larry Christiansen and GM Ron Henley from the winning champs in University of South Florida, 1976. In 1983 championship Yale had no less than three future US champions in their team: GM Benjamin, GM Wilder, and Inna Izrailov. In 1987 Yale was led by future US champion Patrick Wolff, while Harvard was a powerhouse from 1986-1990, winning no less than 4 titles in those 5 years. The 1991 tournament had seen two extraordinary events: Gata Kamsky, the reigning US champion and one of the top players in the world at that time played in the event, representing the Brooklyn College; but then the uber-strong Gata lost a sensational game to Vivek Rao, from the winning team University of Illinois (Vivek was also a big part in Harvard huge success in 1988-1990). College chess changed radically in the middle of the 90's. Until that year only a few schools, from time to time, offered full chess scholarships; in the middle of 90's University of Maryland, Baltimore County (UMBC) decided to make it a regular, thus building a dynasty of chess players. Then University Texas at Dallas (UTD) followed, with the result that these two universities have dominated most of Collegiate chess through the last decade. Recent years years have seen some new powerhouses entering the arena, with Texas Tech University (TTU) and University of Texas at Brownsville (UTB); these four universities were and are offering full scholarship to a decent number of chess players. This year the tournament is just amazing, with about 20 GMs - quite a few above 2600. By all means, this college event is not weaker than the World Open. ICC will have LIVE commentary with Macauley Peterson and GM Ronen Har-Zvi.